Pali is a place near Ranakpur of Rajasthan. This place and hotels of pali is popular for its unparallel scenic beauty. Other than the natural beauty Pali is also well known for black bucks and Chinkaras. Pali has numbers of old temples which become the tourist attractions of the place. 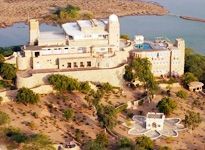 You can see Hatundi Rata Mahavir Temple, the Surya Narayan Temple and also the Ranakpur Jain Temple. Various nature lover tourists and pilgrims come to Pali to have the sight of these temples and scenic views. The tourists find no problem regarding accommodation as there are different Hotels in Pali. The Hotels in Pali are well designed and large. You can choose any one of these Hotels in Pali. 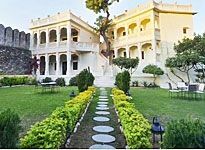 There are Sardar Samand Palace, Chhatrasagar Tent and many more to serve you best comfort. Various facilities of these hotels make these places favorite among the tourists. Pali Hotels have a range of facilities to offer the tourist wonderful holiday experience. In the Pali Hotels you can find huge and luxurious rooms and suites with huge range of accommodation facilities such as attached bathroom, air-condition, cable television, running water, mini bar, room service, refrigerator and many more. For your sumptuous dinning Pali Hotels boasts various restaurants. In these restaurants you can get variety of specialties of the world and the place. Hotels have coffee shops and bars for added enjoyments. There are meeting and banquet facilities at the Hotels in Pali. With the large range of health facilities and other facilities your stay can be more amazing. 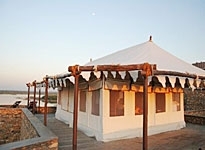 There are swimming pool, gymnasium, village safari, library, indoor games, horse safari, jeep safari, boat-ride, cultural shows, car hire, car parking, laundry, 24 hour travel desk, safe deposit locker and various others.